Whether you are buying, selling or collecting prizes, eventually you will be met with the prices of Daily Dare items. When to buy and sell said items is a very touchy subject; small changes can mean the world. First off, we must look at the fundamentals of supply and demand which drive our Neopian economy, and then move onwards to applying this into the real circumstances. Finally we will explore the most likely outcome of final prize prices. 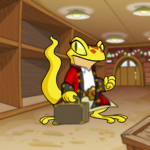 The Neopets economy is more violently fluid than you would expect from a game, and unlike many other online sites the whole system is very similar to a simplistic real world setting. Firstly, the Rarity system that leaks the items into Neopia limits the supply base of an object, then haggling allows for a small price fluxation even on very low demand or low cost items. The overall effect is that every item on Neopets has its own supply and demand; as very few items have a set price, this allows for a very fluid environment. 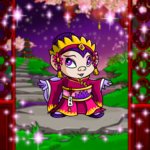 By working out the supply and demand of the items, we can work out the GDP of items from each world of Neopets; however, this is not the goal of the paper, as we are talking about event items. Event items are a lot different than shop items, however, as they are given out under certain criteria and inflate differently than most items. We can break event items down into three simple categories: giveaways, skill and patience. Giveaways are self explanatory; the items distributed by events like this will be worth the least amount of money. This is due to the high supply but almost nil demand. Examples of this are the first steps in the AOTA plot last year, the Advent Calendar, or sponsor dailies. Even the most demanded items in this category will be low priced, unless only given out in a short window. Next, there is patience. Patience events require a minimal base skill, but a LOT of time to do well in. These items normally have a very low supply, and depending on the spread of the prizes can be very high priced. Examples of this are the Altador Cup, Battling (also skill) and group puzzles in plots. For the purposes of this paper, the most important distribution method is skill. Skill is important in a multitude of plots and site events and often can mean millions of NP difference in the long run. Examples of this are both battling, which requires a highly trained pet and a wealth of Battledome knowledge to get high points with, and logic puzzles, such as decrypting in the RODS plot or Game playing, where the ability to reach a required score or beat a game is important, such as with Daily Dare. Skill related supply is dictated by the skill required to beat said event. While it may be easy to win at a plot with nothing but Giant Spyders in the Battledome, when users are put against a hoard of Quartermasters, things may be different. Likewise, in gaming events, the difficulty of the challenge’s directly influences the supply. As an example, let’s look at two recently released Daily Dare prizes and compare their current prices. Take the first day. Two prizes were released: Pile of Plushie Neggs and Negg Dispenser. Now, based on difficulty, it is obvious that the AAA prize will be more valuable, and in this case it is. The Pile of Plushie Neggs is currently retailing for around 16k on the Shop Wizard, while the Negg Dispenser is at 50 NP... A big difference for two little items; this is because the AAA prize required more skill to obtain. Now, let's look at another game, Crisis Courier. In this case, the AAA prize (1995) is actually cheaper than the Abigail prize (2000); this is due to a multitude of reasons. Firstly, the Crisis Courier score was very low for AAA. Although the AAA for that day required substantially more skill than the Abigail prize, it just was not enough difference. Most players could easily reach that score with little hassle; hence the prize value is lower because a more equal number of people could gain the AAA prize. Secondly, there is a difference in the demand of the item. Demand is just as important as supply. Without demand, no item will be purchased, no matter how few there are. Let’s assume for a moment, that TNT creates an item, ONE item, which halves all NP income into this account. Now, normally such a low supply would cause a high price even on worthless items, but no one would want to argue over who halves their NP income. In this case, chances are the item would be passed from person to person, each person selling the item at 1 NP to the next person who did not realise the effect. The demand would never go higher, and thus the price would remain the same until someone worked out they could just discard it. On Neopets, demand is based off different things: ability, looks, collectability and novelty. Ability is what the item can do: a book being read, a food item being eaten, or a Battledome item being equipped. This kind of demand is directly proportionate to the power of the ability. Without external supply issues, a 2 icon Battledome item would be worth less than an 8 icon one, and a book would be more valuable than junk items. Looks is more self explanatory. If an item looks good, be it when being worn or in general, it will have a naturally higher demand. Collectability is based on collections; if the item is needed for a stamp collection, or some rabid negg fancier, then the demand will be higher, directly proportional to the amount of collectors. Novelty is much the same as looks. If an item is particularly unique or interesting, the demand for it will be higher. Items such as the flours that turn pets into other pets, or something more innocent like a cool item, such as the Completely Non-lethal Sandwich, may gain higher demand based purely off their unique aspects. When you combine supply with demand, you can work out the perfect times to buy and sell based off simple market trends. When an item has a limited supply, an example being retired event items, the price will rise steadily as the item is consumed and lost over periods of time. Depending on the starting supply of an item, one can see about how much time it will take for it to rise. An item with a large supply and a low demand, like an Advent Calendar prize, will rise slowly and insignificantly, while a more useful item retired without warning will shoot up with an artificial demand. This happened recently with the fifteen items TNT retired a couple of weeks back. The items experienced a large and sudden jolt as investors rushed to buy the items, no matter how common they were. Later, some of the prices have started to drop again as investors try to make a profit on their investment. This can be exploited by the savvy investor, who buys in the rush, and sells when the rush peaks. Although this way is risky, it is possible to sell at the peak, and re-buy when the prices go down again slightly. This is called an artificial demand. No matter the level of supply before, this item will always go up in value without any drop in supply. Other examples of demand being spurred can be seen when a non-wearable clothing item is made wearable, or when a furniture item gets that cute little house in its image all of a sudden. This raises the ability of the item, and thus increases demand for it accordingly. Supply and Demand work well together to make this economy, and while Neopets is in a heavy state of inflation, it is a very interesting concept. High skill plot prizes, for example, have a very low inherent supply due to their overall difficulty to receive. However, these items also often have a very sought after ability or look which raises their prices much higher than simple supply shortages can spur. In Daily Dare, very few of the items are unobtainable, and even the few that are impossibly hard at first go down in price due to the ability people have to play the game throughout the entire month. So, keeping this in mind, when are the two good times to sell, and when should one buy? Well, if you are one of the original owners of the item and are uninterested in long-term profits, sell as soon as you can, before the prices level out. Even Abigail items can get 8-12k if sold just after midnight; AAA prizes go for anywhere up to 300k. This is short lived, however, as the demand is met by the large influx of supply that comes from people playing the game. Although this can make some quick and easy profits, you always risk pricing the item lower than it will be eventually worth, and if you wait too long, the price may level out before you can sell. This levelling is what buyers should wait for. Abigail prizes will only take a few hours to level out nicely, and can be down to 50-300 NP before the end of a day, depending on demand influences, while AAA prizes may take slightly longer, sometimes a couple of days. The other time to sell is a little bit more long term. This is the collectors stance, the one I personally take. Over time, items get destroyed, be it by them being used, the account’s owner being frozen, or people quitting. The supply of retired items, Daily Dare included, will steadily drop as time goes by, and even though demand will also drop as supply dwindles, the prices will rise. Some items such as stamps and books never have their demand drop to begin with, and they have the chance to shoot up faster than most. To be this kind of seller, you must wait for as many years as possible before selling. This way, item supply will have dropped, and prices will have risen. While this is often slower than most methods, given enough time they will rise much higher than the instant profits made by early sellers. Well, this is all good for the DAILY prizes, but what about the final ones? How will the final prizes be affected by supply and demand? One can only speculate, but assuming that the disappointment of last year is not repeated we should be able to guess at least the higher tier prizes. Due to the nature of the top three prizes, supply and demand will play an important part to decide which prize is really best. The top prize requires the completion of all double dare challenges and AAA on launch, then, at least one double dare and AAA on launch, finally, AAA on launch every day. Considering the lack of a difference between the three, it is possible to speculate on final prices. Of the three final highest prizes, Grandultimate Scoretacular should be the cheapest, due to the lack of difference between the lower two; anyone who can get them should be able to get this. Next will be Ultimate Scoretacular. No doubt people will accidently miss the double dare button, forcing them onto this tier. However, the number should be lower than that of Grandultimate since it will not be a commonly made mistake. Finally, the most expensive item will be the Ultimate prize; unless you are literally going for ULTIMATE and nothing more, it is impossible to miss the first double dare message. This means, that the smallest number of these prizes will most likely be given out. Keep in mind, however, it is still possible that the Grandultimate prize winners will also win ultimate and ultimate scoretacular prizes... so it isn’t smart to throw away your Grandultimate based on this alone. However, it is not smart to follow this to the letter, as that just relates to supply, not demand. It is possible that there will be three levelled Battledome items, each slightly stronger than the last; levelled rewards like this will force higher demand, as would one being a weapon, one a clothing item and one a book. Without taking into account supply AND demand, it is impossible to see an accurate representation of the Neopian economy’s prices. For example, take the top level prizes for the last plot, AOTA. The top prize gave out four unique items, not given out anywhere else. These four were given out to ALL winners, meaning there is an equal supply for all four. If this was a purely supply based economy, each item should be the same price; however, we know it isn’t. While the bobble head and boiler were comparatively worthless, the clothing and Battledome items included were around ten times the price, purely due to demand. People had a use for the weapon and jacket; as they were used, they were temporarily removed from supply, and the popularity of them forced their prices upwards in demand. Each prize will then continue to rise as they are lost permanently and the time goes on. This supply and demand based economics shows one thing in particular, something you should always remember. TNT doesn’t set the prices; you do. If you are complaining about the higher prices of your next Snegg, remember that is because of supply and demand, not because TNT is against negg consumption. TNT does not directly decide the price, though by calculating the given number by expected demand it may be possible to give a ballpark figure. The only way one can know exactly what to buy and sell, and when, in any event, not just Daily Dare, is by looking into market trends.